Equality is a founding value of the South African constitution and a fundamental right. But what does this mean in practice for our South African children and their parents? Income inequality has continued to rise. According to Stats SA 66.8% of children live in poverty of which 73.6% are black whilst 79.2% of South African adults with little or no education live in poverty. The divide between the rich and the poor gets wider and often there is a sense that the gap cannot be bridged. However – play changes that concept! So for many families, playing with their children is not high on their agenda – they are fighting crime, living on less than R576 per month and are basically in survival mode. Does this mean they don’t want to play – absolutely not! On 9th March 2019, over 100 parents from Mfuleni gave up their Saturday morning to join Starting Chance for a play date. When asked if they play games with their children, we had varying responses which gave us some key insights. “I play on my cell phone with my child” was the most common reply. Milteer and Ginsberg (2012) confirm that children spend less time engaging in play and spend more time engaged in sedentary activities like playing on cell phones, watching TV and playing video games. This is true in townships too. “We don’t know what games to play,” was another common response. 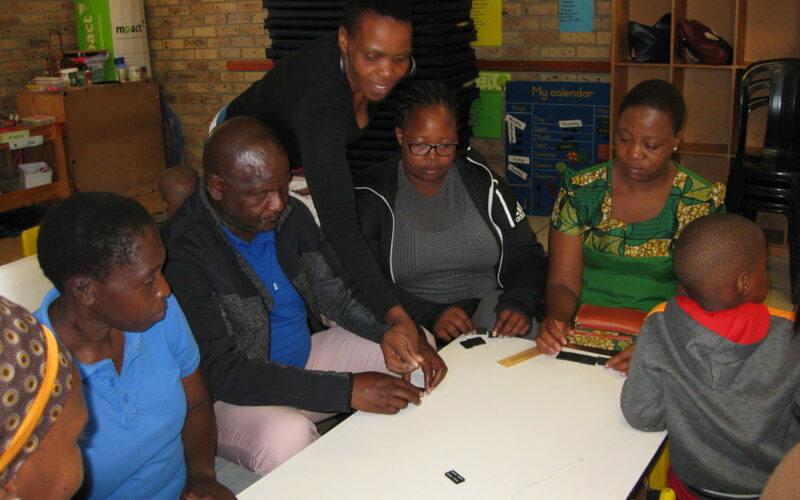 In this parent engagement workshop, Starting Chance aimed to introduce parents to the concept of purposeful play using games that reinforce and enhance maths skills, language and literacy and life skills. Diverse backgrounds and different experiences provide children with essential opportunities to learn and express themselves through play. By playing the games themselves, parents quickly realised the value they could impart to their children. Whilst many of the more affluent families in Cape Town’s formalised residential areas regularly play these games with their children, this happens less in the more informal townships. However, the enjoyment of games is universal, as was shown on Saturday. 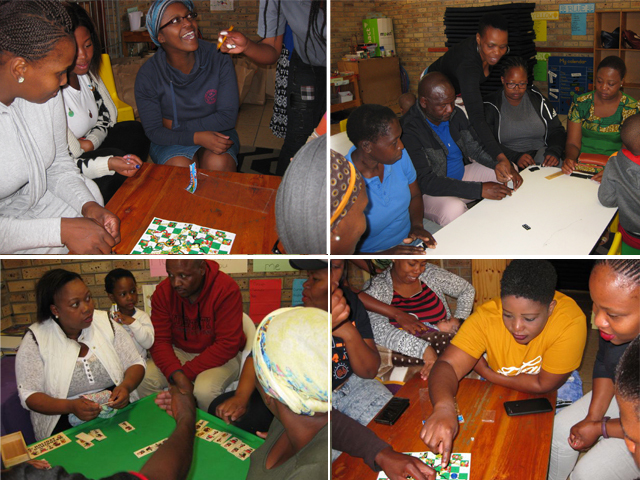 In the younger age groups, parents learned counting songs, matching games and how to use balls in games to enhance gross motor skills whilst learning to count and distinguish different colours. At the end of the morning, parents took home a pack containing the game they had played, a book to read to their children and some extra fun activities to try with their children. They also took home a key message – play helps to build self-esteem, social skills and a sense of connectedness – which helps to make our children school ready. Together we can start to bridge the gap through engaged play. We had many requests for more workshops. Help us to make it happen by supporting us to “boost school readiness in a 1000 homes”.